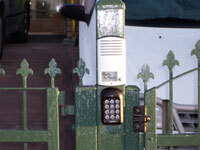 We offer a range of electronic locks, that will automatically unlock a swing gate on opening, and securely lock it when the gate is closed. These locks are tough, long-lasting reliable performers. 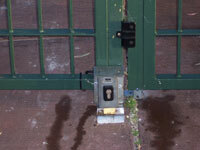 On double swing gates, we have locks that can lock both gates together, to prevent unauthorised entry.